Thanks for posting this, watching it always makes my day. It is absolute comedy gold. The idea that anyone could fall for this suggests that there are some seriously deluded and brainwashed morons out there. These days when I meet a person, and this is becoming more frequent, I now ask them, where are you up to in all of this. Amazing days we live in.....I am glad I am here to see it unfold! Did The BBC Broadcast Fake News? A Spinwatch investigation has revealed that journalists working for the Services Sound and Vision Corporation (SSVC) have been commissioned to provide news reports to the BBC. The BBC has been using these reports as if they were genuine news. In fact, the SSVC is entirely funded by the Ministry of Defence as a propaganda operation, which according to its own website makes a ‘considerable contribution’ to the ‘morale’ of the armed forces. Naturally enough, we are told that the regiment in which the reporter is ’embedded’ has resolved these tribal problems by negotiating ‘a ceasefire’ following which ‘ the two tribes had had their first nights sleep in several months’. The British Army view of the Iraqi people can be less than sympathetic. The army crackdown on looting early in the occupation was codenamed ‘Operation Ali Baba’ after the folk tale ‘Ali Baba and the forty thieves’. Issuing orders for Operation Ali Baba the commanding officer gave what the Army now acknowledges was an illegal order to ‘work them hard’. This led predictably to torture, only discovered when some brave soul in a photo developing shop reported the resulting record of abuse to the police. The view of the Iraq population as thieves is evidently shared by both torturers and propagandists. There were interviews with five separate British soldiers including one with a ‘master sniper’ brought in to counter resistance attacks on the Iraqi police. But there are no interviews with any Iraqis. The report concludes with a straight forward piece of propaganda for the occupation: ‘While the Scots Guards remain the ceasefire is likely to hold strong. There’s been little trouble in the area since the peace was brokered and the ceasefire has been extended to December the first. But the Iraqi police and national guard still lack confidence and credibility to keep the peace on their own and should the fighting resume, the governor of Basra has given the go ahead for the Scots Guards to use more force to make route 6 safe again.’ Even although the report has itself hinted that the fighting is targeting the occupation, we are left with the extraordinary statement that the army in illegal occupation of Iraq is actually a ‘peacekeeping’ force. According to the editor of Good Morning Scotland the piece ‘was a bit a of a one-off because she happened to have been embedded with the Royal Scots. Until a few months ago Martha was a correspondent here at BBC Scotland (had been for several years) and is therefore a journalist we know and trust. ‘It was quite an unusual commission’. Unusual indeed, but not unique. Further inquiries by Spinwatch have revealed that another item from a different BFBS journalist was broadcast on Radio Scotland on Christmas day 2004. Insiders at BBC Scotland are livid about this, indeed several have contacted Spinwatch to pass on their concerns. One reports that colleagues have remarked on the ‘complete lack of balance’ of the piece and one described it as ‘an audio press release for the Army’. But were the BBC right to say that the journalist concerned was one ‘we know and trust’? Certainly there has been a significant wave of journalists from the mainstream media signing up to work for the government since the election of the Blair government. Alastair Campbell is only the most famous. BBC journalists too have made the transition to propagandist as in the example of Mark Laity who became a spin doctor at NATO from whom no further work was commissioned.. This is not quite accurate. A quick visit to the website of the Services Sound and Vision Corporation (SSVC) which is the parent of the BFBS reveals that ‘Our work makes a considerable contribution to the maintenance of the efficiency and morale of the three Services. Our activities are carried out directly for the Ministry of Defence. Any profits are donated towards Forces’ welfare.’ Whatever might be said about the World Service relationship with the Foreign Office, it has not ever been accused of donating its profits to the welfare of Britain’s diplomats. The notion that the SSVC which is wholly funded by the MoD serves any other purpose than propaganda is fanciful. This is a rather coy way to describe a government propaganda service. Click on its website for an admission of the defining feature of this whole network of agencies; that the news on the site ‘is for free use by journalists’. Look in vain for an indication of who really funds this service. All you will see is a notice at the bottom of the home page : ‘The London Press Service is operated and maintained by Intelfax Ltd.’ Intelfax is in turn an independent production company but the London Press Service is funded entirely by the Foreign Office. Or take the example of British Satellite News (BSN) broadcast for free over the Reuters World News Service. According to its website, BSN ‘is a free television news and features service, which provides you with coverage of worldwide topical events and stories from a British perspective. Our dedicated team of experienced television journalists specialise in producing topical stories that inform and entertain a global audience. ‘ Again not much in the way of a clue that this is a fake news site. BSN is run by a company called World Television which does work for the BBC such as the live coverage of the TUC conference and also works for multinationals such as GSK and Nestle. The Foreign Office helpfully tells us that BSN has ‘a particular focus on the Arab/Islamic world.’ It also mentions that BSN ‘s fake news ‘is currently used by 35 broadcasters in the Middle East and over 440 worldwide.’ The secret of all this material is that it is not only free to use but that it is used as if it was genuine news and not British propaganda. The UK is awash with fake news, of which the examples here are only a taste, it is just that we don’t pay much attention to it. The American scandals over fake news are played out against the background of some pretty clear laws forbidding propaganda with a disguised source within the borders of the US. There are no laws forbidding fake news in the UK. Perhaps we needs some. The below admission from the BBC that its substitution of Syria footage between two 2014 broadcasts breaches its own Editorial Guidelines on accuracy is a modest victory in the battle to attract scrutiny to the wider charges that one of the reports in question (at least) was largely, if not entirely, fabricated. For almost two years I have pursued the question of whether scenes of the aftermath of an alleged incendiary attack on an Aleppo school – filmed by BBC staff and first broadcast as UK legislators voted on military intervention in Syria – were staged for the purposes of propaganda. Many compelling evidence points have arisen: the widely contradictory accounts of precisely when the alleged attack occurred – including disagreement between the BBC reporter and cameraman concerned; the testimony of a former Free Syrian Army commander stationed in the vicinity denying that an attack occurred; a fortuitously-grabbed screencap of one of the alleged teenage victims grinning broadly into the camera; “victims” sharing the same “costume”, and, most astonishing of all, the self-identification of a “victim” seen in footage from the day (in reality a 52 year old Netherlands resident) who contacted me on Facebook, anxious that she may be recognised. The backgrounds of the two doctors featured in the BBC’s report are of considerable interest: Dr Saleyha Ahsan, a former British army captain, has a personal connection with a military officer who runs large-scale medical simulation exercises, employing professional casualty make-up artists; Dr Ahsan’s colleague, Dr Rola Hallam, is the daughter of Dr Mousa al-Kurdi, who is “involved politically with the Syrian National Council”. The co-founder of Hand in Hand for Syria, the “humanitarian” charity for which the doctors are filmed volunteering, has expressedbloodthirsty promises to bring Assad to justice “NO MATTER WHAT LIVES IT TAKES, NO MATTER HOW MUCH CATASTROPHE IT MAKES”. A Hand in Hand for Syria nurseseen working alongside Drs Ahsan and Hallam is pictured elsewhere tending to the wounds of a child opposition fighter. Very many other discrepancies are noted on my blog. It is hard to escape the conclusion, voiced by former UK ambassador Craig Murray, that the BBC’s ‘Saving Syria’s Children’ “documentary” represents the fruit of a collaboration between BBC personnel and UK state security services and marks a unique and historic breach of trust between the corporation, its UK licence fee-payer funders and its millions of viewers and listeners worldwide. Thank you for your provisional finding of 20 July (reproduced below) informing me that you propose to uphold my complaint regarding the substitution of Syria footage in respect of accuracy. You have been given an explanation as to why the footage was changed; there is no reason why the audience should be made aware that any such editing has taken place; and BBC News is under no obligation to tell you the source of the substituted images which were broadcast. In response to your comment about the paragraph in my email which you found “astonishing”, I can only say the point I was making was that there is no formal policy which obliges BBC News to inform viewers that footage has been changed or to confirm when asked the source of material used. It is a matter for BBC News to decide whether to provide that information. I shall wish to pursue these matters following receipt of your final report. I’m writing to let you know the provisional outcome of the Editorial Complaints Unit’s investigation into your complaint about a report broadcast on the BBC News Channel at 4.30am BST on 30 August 2015 [sic]. I’m sorry this has taken longer than we initially led you to expect. We’re now in a position to add to the account you were given in the email of 17 May from the BBC Complaints Team. As explained in that email, the report was re-edited in order to replace the footage of the Aleppo attack of August 2013 with less graphic images (of an attack in Saraqeb, Northern Syria, on 29 April 2013) for a different audience. We’ve now established that the editing was carried out by the Newsnight team after the programme came off the air – at about midnight, in fact, and after Laura Kuenssberg had left the studio. I’m told that they didn’t check the sound-track, and the fact that the replacement of the pictures rendered the accompanying script line inaccurate simply didn’t register with them –and of course the News Channel team would have no reason to suppose there was anything amiss with the report as it reached them. I agree with the view that the change of pictures didn’t change the journalistic integrity of the piece, in the sense that it wouldn’t have affected viewers’ understanding of the matters under discussion. Nevertheless, it would have given them the impression that they were seeing footage of an attack which took place just before MPs voted when the footage actually dated from four months earlier – an impression which could have been avoided if the script had been appropriately edited or if less graphic images from the Aleppo attack had been used. I’m therefore proposing to uphold your complaint in respect of accuracy, though I hope the explanation I’ve given will reassure you that there was no intention to mislead. As my colleague, Colin Tregear, explained in his letter of 18 June, this is a provisional finding and so I’ll be happy to consider any comments you may wish to make provided that you let me have them by 3 August. Alternatively, if you are content with the finding as it stands, let me know and I’ll finalise it without further ado. We have reviewed the delays in replying after Mr Stuart’s return complaint was received in November and do apologise again for these on behalf of the BBC Executive. 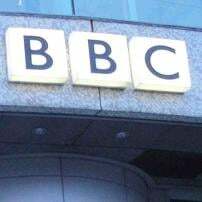 There was already a backlog of complaints being investigated in BBC News which caused some initial delay when Mr Stuart escalated his complaint in November 2014. This was a consequence of large volumes of complaints following the conflict in the Middle East during the summer and then the Scottish Referendum in September. Although the relevant editor was asked on a number of occasions for a response over many weeks, he had not provided one by March when he moved on to a new role. A response from his successor was consequently delayed and provided over a month later. We apologise for these delays, which do not reflect the level of service we strive for and are normally able to provide. In the face of rising awareness about the truth in conspiracy theories the governments of the world have had to implement reactive measures to keep a lid on the alternate media, because it challenges there masonic masters devious plans that require the manipulation of the common people through mass media . Here is an excellent documentary style video on the efforts to suppress the valid inquiry into world events and the subsequent doubts they raise in the authenticity, that main stream media presents us with and what methods have been enacted by the govt in order to suppress that doubt .Shills are no longer black ops with no traceable connection to govt organizations the policy regarding there existence is outlined publicly nowadays and suggested in papers concerning the need for there existence by prominent govt officials in the obama regime.The juicy part starts at 43min in regarding the planned opposition to conspiracy theorists . It is a nice watch from the start but if you want to skip the intro which outlines the media manipulation and get to the specific processes used by govt agencies to control media you can jump to the aforementioned time. The primary "witness" that the mainstream media is using as a source in Syria has been caught staging fake news segments. Recent video evidence proves that "Syria Danny", the supposed activist who has been begging for military intervention on CNN, is really just a paid actor and a liar. While Assad is definitely a tyrant like any head of state, an U.S. invasion of the country is a worst case scenario for the people living there. Mysterious September 15th Warning On FEMA Signs Have People Asking - Does FEMA Know Something We Don't Know? 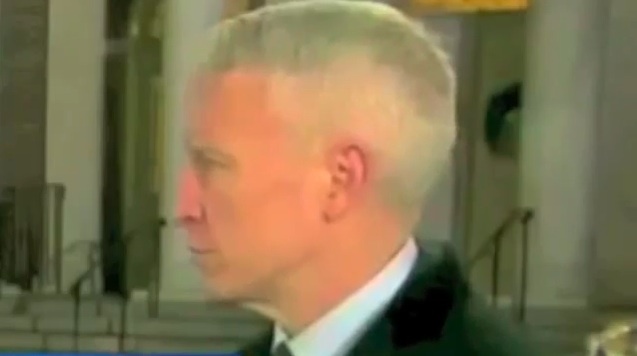 Anderson Cooper, son of Jewish heiress Gloria Vanderbilt, is a CNN news anchor famous for covering important stories such as Sandy Hook and the Jon Benet case. In the above images, you can see the clear use of green screen when he claimed to actually be in Sandy Hook. He has absolutely no journalistic education, but has worked for the CIA. "During college, Cooper spent two summers as an intern at the Central Intelligence Agency. Although he has no formal journalistic education, he opted to pursue a career in journalism rather than stay with the agency after school, having been a self-proclaimed "news junkie since [he] was in utero." Check out the BEYOND striking resemblance between Megan Kelly and Nicole Brown Simpson. I was not able to post the revealing photos on this Android device. Check it out, it's shocking! WOW. Listen to this reporter talk about the difficulty in getting truth out. It is almost chilling. I have the video paused right at the point she starts talking. Poor chap should have consulted the IFERS forum before attempting the impossible. The Antarctic Treaty of 1959 would prevent true unencumbered exploration of the region, so one would have to conclude this is a load of codswallop. Oh, he was sooo close, allegedly making it 913 miles into a claimed 950 mile trek. Bullocks. Not to sound callous, but I'm off for tea. Pip pip. (40) In 2005, British soldiers dressed as Arabs were caught by Iraqi police after a shootout against the police. The soldiers apparently possessed explosives, and were accused of attempting to set off bombs. While none of the soldiers admitted that they were carrying out attacks, British soldiers and a column of British tanks stormed the jail they were held in, broke down a wall of the jail, and busted them out. The extreme measures used to free the soldiers – rather than have them face questions and potentially stand trial – could be considered an admission. (41) Undercover Israeli soldiers admitted in 2005 to throwing stones at other Israeli soldiers so they could blame it on Palestinians, as an excuse to crack down on peaceful protests by the Palestinians. (51) The highly-respected writer for the Telegraph Ambrose Evans-Pritchard says that the head of Saudi intelligence – Prince Bandar – recently admitted that the Saudi government controls “Chechen” terrorists. (55) Israeli police were again filmed in 2015 dressing up as Arabs and throwing stones, then turning over Palestinian protesters to Israeli soldiers.